"If you are just getting into the dynamic Web development world or youare considering migrating from another dynamic web product to PHP, Programming PHP is the book of choice to get you up, running, and productive in a short time." 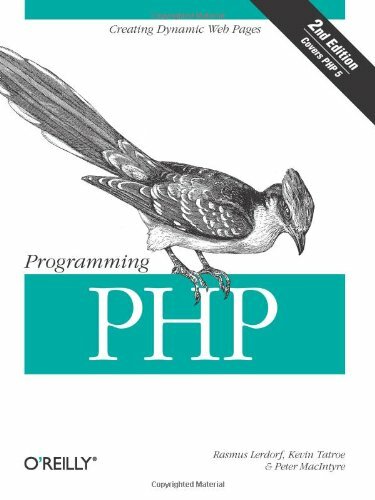 "I think this is a great book for programmers who want to start developing dynamic websites with PHP. It gives a detailed overview of PHP, lots of valuable tips, and a good sense of PHP's strengths." About: Explains how to use the open source scripting language to process and validate forms, track sessions, generate dynamic images, create PDF files, parse XML files, create secure scripts, and write C language extensions.